A birthday is always another milestone reached in your life. Embrace it! I am 34 years old young today. I wonder if I am considered being in my early-30s, or have I reached my mid-30s? It does not matter (though I do like to think that I’m still in my early 30’s – that’s the woman in me talking!). I am thankful for being alive. And what’s most important is that I am as old as I feel! And right now I feel great and blessed to have my good health, a loving and supportive family and a loyal group of friends, runners and non-runners alike. I received countless greetings both on Whatsapp, Facebook and Twitter today. I am deeply touched so thank you so much to everyone who has dropped me a note, I truly appreciate each and everyone of you! Here are some unique greetings from a few runner friends which I thought was particularly sweet. Ejah also drew and sent me a greeting at Sepang Gold Coast beach after her morning run! Dyna from the Philippines made this photo montage for me, so incredibly thoughtful! My friends from Gaited Community got together and signed me a birthday card – which I need to pick up from them at a later day. I regrettably missed this morning’s long distance run! But thank you for your thoughts, dear friends. My friend Fana from Jakarta made this for me too! Thanks so much sis! Fana and I met last year in KL after some 8 years since our initial meeting. She is such a lovely person. This one just blew me away as well, a special shout-out from Helen Susanto and the IndoRunners group, a running group close to my heart! 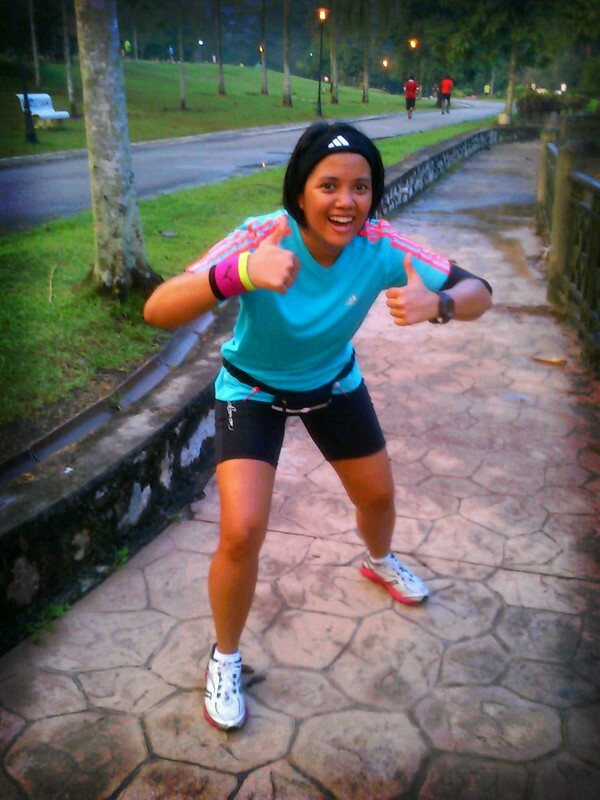 Shoutout from IndoRunners – I share a special bond with this group! Received a handsome black Garmin FR10 watch from my family. My FR60 strap broke so this will be new companion on my runs. This is me and my kid brother Jim (who also happens to be 2012’s Street Luge World Champion!). My brother and I share the same birth month (his falls on 22nd) and for years we’ve been sharing the same birthday celebrations with our family. This year, the family and I gave him what any sportsman appreciates: compression wear! Just for giggles, here’s a photo of us from 1988, also from our birthdays. Weren’t we a scream? Squeezed in a birthday run with my new watch, top and wrist band before dusk. 8km of pure sweltering post-rain humidity!!! Here’s to a magnificent 2013 and beyond! Thank you family and friends, I love you all! Thank you Kak Lyn. 🙂 Stay healthy and fit for the family ok? Rane it’s still my birthday (28th) so not yet belated. 🙂 Thanks ya for your wish! people in the 30s alwaysssss look like 20s. trust me. happy birthday babe. Mira, hang pun awet muda. 😀 Thanks darling, you’re my inspiration bebeh!